Wondering in to a Christian bookshop for a quick browse. A lovely friendly sales assistant says hello as she shelves books. She hesitates for a moment, then pulls a book from the shelf and gives it to me saying it was excellent. She’d recently heard the author speak and thought I’d enjoy it. I look at the book. It is by Mark Shea and is called By What Authority? : An Evangelical Discovers Catholic Tradition. I read the blurb. 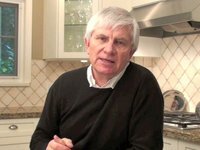 It is about a former evangelical Christian’s conversion to Catholicism and tells his journey of coming to the conclusion that Rome was, after all, the one true church. So, how to interpret that little exchange in the bookshop? The sales assistant didn’t know me from Adam. We’d had no conversation. This was the only book of its kind. I ask myself, ‘Gosh do I look like an ‘evangelical’ or something?’ That’s vaguely alarming. Is God trying to tell me something!? Something else come to mind? 1. At heart evangelicals will always want to know what the Bible says. They study it, discuss it, try to understand it, interpret it and apply it. They are ‘Bible people’. 2. Interpretations over what is ‘the biblical’ view on any particular text or theme have enormous significance for conferring legitimacy. 3. And this means in turn that ‘biblical’ tends to be one of the most over-used words in the evangelical Christian dictionary. So when it comes to an issue like women in leadership, what is ‘the’ biblical view assumes deciding weight. The slight problem for this is that it’s rather obvious that agreeing on what ‘the’ biblical view on a host of issues is not the straightforward process that many evangelicals seem to assume it is otherwise there would not be thousands of Protestant denominations (for example). So to this book just published in the Bible Speaks Today (BST) Bible Themes series. As with all the BST books the approach is primarily exegetical, with chapters on selected texts structured within four sections. It begins with ‘Foundations’ (Genesis 1-3 and Galatians 3:26-28). Section 2 is on ‘Women in the Old Covenant’ (including family women like Rebekkah; victimised women cut into pieces in Judges; leading women like Deborah; resolute women like Ruth; prophetic women like Huldah; the passionate woman of the Song of Songs; and the capable woman of Proverbs 31). Section three is ‘Women in the kingdom’ (including women in the life of Jesus; in the encounters of Jesus; in the teaching of Jesus; and women as disciples of Jesus). Part 4 is ‘Women in the new community’ (including women in action, in prayer, in worship, in marriage, in leadership and in widowhood). More varied portraits of women continue to be drawn in the NT. There is a sketch of women’s courage and deep affection for their Lord at the cross and as the first witnesses of the resurrection. The inclusion of women within the kingdom as disciples and as witnesses points to an alternative community to the male dominated culture of the time. There is a new order of relationships; of respect and dignity for women and full equality within the new creation which flows from Jesus’ own revolutionary attitude to, and teaching about, women which was without precedent in Judaism. He values, respects, befriends, disciples, encourages, inspires and accepts love from women. He never denigrates or makes any negative remarks about women. (184). They are entrusted with the message of the gospel, serve alongside men, become travelling messengers of the gospel, teachers, evangelists (196), witnesses, patronesses, missionaries and even apostle(s). There is no hint of any restriction of ministry under authority of men. It is a remarkably expansive role, but at the same time there is no idealisation of women 209. ‘Gender is not the primary issue, only commitment to Christ and the formation of a Christ-like character.’ (209). When it comes to the familiar texts concerning women in leadership (1 Cor. 11:2-16; 1 Cor 14:26-40 and 1 Tim 2:11-15) the authors unpack the texts fully (and convincingly! 🙂 ) arriving at egalitarian conclusions that I won’t go into detail here lest you think I’ve got nothing else to write about on this blog. How they do this is a model of careful exegesis and gracious engagement with complementarian thinking without lapsing into stereotyping. If only this debate in general was characterised by such graciousness and respect. The big picture? ‘Today, Paul is likely to argue that a refusal to exercise leadership in the church is what brings the gospel into disrepute … we suspect he would be rejoicing at the many women who exercise their wonderful teaching and leadership gifts in the church, for the sake of the gospel and the glory of Christ.’ (267). So rather than ‘the biblical’ blueprint being taken from the text and applied woodenly to contemporary life what we have instead is a theological task of reading the issue through the storyline of the Bible. ‘We cannot find what would be recognised as a contemporary equality agenda ready-made in the Bible. The Bible must be read in its own context before we use it to address ours. But, our review of Scripture leads us to believe that very significant progress was made towards egalitarianism in the course of the unfolding story of redemption and that the signposts point us unmistakeably in that direction.’ (283). PS. The 10 page bibliography is a super resource for anyone studying or reading around the issue of women in leadership – every major work I could think of is there in one place and a lot more besides. It is also right up to date. I’d read and really liked some of his stuff but hadn’t heard him in person and didn’t have any particular expectations. So his wit and sharp humour was a bonus on top of a plenty of thought provoking material on faith, culture and missional church. As Hargaden is wont to point out, I’ve a particular obsession interest in consumerism and evangelicalism (and am in the middle to teaching a course on faith & contemporary culture). Roxburgh had plenty to say around that intersection and at times I found myself shouting ‘preach it brother’ (silently of course, I’m an introvert). A big theme was his call for the local and contextual rather than an obsession with importing the abstract and contextless ‘model’ of church growth from elsewhere (Willow Creek got more than one mention). Tracing development via Descartes, Kantian universalism and the Enlightenment, there is a modern love of the abstract, of universal principles. And this means that you cannot trust the everyday. Focus on models and systems of ‘how to’ from elsewhere and in very different contexts really represents a distrust and lack of faith in the local community. It is saying ‘I don’t believe’ in the gospel, in the local, in the possibility that God can and does work through the everyday, in ways which are surprising and unexpected and most often through precisely his people’s lack of resources and power and control. Looking for the new model to crack the problem of church planting or church growth is usually just males trying to prove they are in control. 😉 And isn’t it amazing and coincidental that such models are nearly always white, wealthy and American? And if you want to look underneath that theology, have a look at the place where that person is speaking from. Most of American evangelicalism (80%) is wealthy and suburban with a theology that is shaped (accommodated?) around the needs and anxieties of suburban Amercianism. Which leads on to discussion of gospel. Fair to say he was pretty bluntly critical of a lot of contemporary expressions of evangelicalism. Yet he was also not saying ‘all the answers are over here’. Nor was he dismissing the presence of God within his flawed church. Much of American evangelical gospel is offering a personal salve for anxiety to an individualistic and consumerist culture. Consumerism disengages people, it advances through abstraction, disconnects from relationships and creates superficial identity. And what a lot of evangelicalism does is to provide spiritual prozac. ‘God loves you and has a wonderful plan for your life.’ Such a gospel is designed as an escape from consumerism and anxiety. The gospel is ebbing in the West primarily because the church has bought into modernity, hook line and sinker. The gospel is not about saving souls, it is about kingdom transformation within what is a hostile and fundamentally destructive late-capitalist culture. Much evangelical gospelling says little or nothing about the call to discipleship within this hostile culture – it assumes a neutrality or even assumes capitalism and consumerism are obviously good things. Church is fundamentally about embodiment – real people in relationship. So you get silly Christians writing books on ‘Liquid Church’ or electronic ‘network church’ and meeting in ‘Third Spaces’ and calling that church. He has little time for emerging church – come and gone. Story here of a man choosing to meet others in a ‘third space’ in Starbucks as a form of Christian ‘community’. You can’t get much less of a neutral space than that highly commodified space. The man drives to this space in his own personal space (car), at a time of his own choosing, to a place that invites you in to spend money, to meet like-minded people, he can leave when he chooses, and the demands the ‘community’ makes on him are minimal. Such community is, at heart, selfish and individualistic. Roxburgh’s call is to the local and to relationship. An invitation to re-form and re-imagine the gospel and the church. To spend much time listening to the Other; looking for narratives locally; spending time by living alongside; and then bring that local context into conversation with biblical narratives and discerning what does the gospel look like in this local context? This is a form of doing local theology using local ingredients – to try to ‘wake up’ to how the powers and principalities are shaping the culture and to engage within the narrative of God kingdom come. And in this process it is worth thinking of how stratified and divided society is. Rather than the standard middle-class answers of help to the poor, what is called for is something far harder – to build relationship, to eat together, to respect and include in community. Rather than curse the suburbs or the city, the task is to try to re-imagine what the suburbs or city could be. (Just as Skainos has tried to re-imagine what inner-city East Belfast could be). And so the call of missional leadership (5 posts on this here): to live and be in the neigbourhood. To be delivered from the need to be in control and to have models to implement. To be theologians of the ordinary and local. To be given permission to experiment. To be abbots inviting people into a rule of life. The use of liturgy and office gets beyond the evangelical lucky dip of what sort of service you are going to get in any particular church. To know the people – their own narratives and the narratives of their neighbourhoods. In preaching, not to be therapeutic. He sees preaching much more as being given the task to mess with people’s minds rather than deliver neatly packaged answers. To provoke people to think what does it mean to follow Jesus in this world with its alternative narratives and values and telos? To make people think at the end. ‘This Bible is much weirder than I thought’. This includes preparing sermons in a local coffee shop. Listening to the local. Making the links from text to life. And working against the idea that the sermon is ‘the main event’. Church is more than one event within a service, and is more a service – it is who and what people are in their community. welcome to join conversation there. This week I was asked a question I haven’t been asked in quite a while. I wonder when you have last been asked something similar. It was a simple question, but it was meant seriously. The question in other words was asking something well beyond mere recounting of all the Christian activities that go with evangelical activism – busyness of active church life on top of a ‘Christian job’ in a Bible College. It is a question of the heart. And I suspect it is a question that is asked more rarely than in the past, but I have no way of proving that hunch. And perhaps this is because it is a question that takes courage to ask. I use the word ‘courage’ because the asking is itself a counter-cultural act. In an intensely privatised world, where everyone’s business is their own, such a question is seriously out-of-step. The question assumes that I, the individual, have a responsibility and an accountability to others within the body of Christ for the state of my own heart – my ‘inner life’ of both my mind and my subsequent actions beyond the public sphere. That’s a radical notion. And it’s all over the New Testament. But there was something else behind this question that I’ve been trying to put a finger on ever since it was asked. It was something deeply good. It was a loving question asked by someone who really cared about the answer. It was asking about how I really am – not just about what I am ‘producing’ or ‘doing’ or ‘achieving’. I struggled to answer that question because it is a searching one. But that’s OK. Most of all I felt thankful and (for me 😉 ) rather surprisingly emotional that it had been asked. It also challenged me to ask how much have I had the courage and love to ask others the same question. So, if you are a Christian, is there someone to whom you are spiritually accountable? Is this organised or ad hoc or not happening at all? Have you only been asked such questions if things are going wrong? Would you like / accept such accountability? If not, why not? And do you think that within evangelicalism, activism is taken as a sign of spiritual health with few other questions being asked? If you are in Christian ministry, are there support structures in place that care for you as a person or are no questions asked as long as you are ‘producing the goods’? In the smooth stream of consciousness that is this blog, I want to connect the last post (on the decline of religious belief) and this one (on religion in a consumer culture). The link might at first not be very obvious. After all isn’t the fact that many Catholics don’t believe what their church teaches primarily a problem of ecclesiastical reform of some sort? Better catechesis? Better Bible teaching? More personally ‘owned’ faith than an assumed ‘second-hand’ detached sacramentalism? More transparent and accountable leadership structures? Maybe the answer is ‘Yes’ to all of these. But such a response misses something fundamental and pervasive and this is why a hollowing out of traditional Catholic belief in Ireland poses profound challenges to all churches. Because none the responses above really begins to engage with the contemporary culture in which Irish people live, breathe and have their being. Here’s a proposal: the most pervasive and powerful cultural force that impacts everyday thought and everyday life is 21st century consumerism. 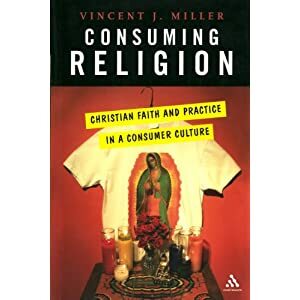 And consumer culture is radically reshaping traditional forms of Christian belief (whether Baptist, Catholic, Presbyterian or whatever) that value and are shaped by coherence, reason, systematic revelation and authority. What he’s saying here is important. A consumer culture gratefully adopts pretty well everything. Nothing cannot be commodified. And this all encompassing embrace ‘flattens’ out meaning and significance. We live in a world of bewildering diversity, but one at the same time where beliefs and values are largely detached from communities and traditions that gave them meaning. The result is a Babel of co-existing truths, where nothing is privileged, all are equal and it is up the free autonomous individual to create their own story out of all the choices passing before her eyes every day. So what develops is a spectrum of individual ‘seekers’, each selecting their own belief systems from a vast and inclusive supermarket of ‘truth’. Some atheists and agnostics will determinedly refuse to put anything remotely ‘religious’ in their supermarket trolley of faith (they just fill it with other faith commitments). But others will be quite happy to select a wide variety from the shelves – Tibetan prayer flags, nativity sets, a statue of Buddha, a sacred heart, incense and candles, crystals, your personal guardian angel, participation in occasional religious events, books on vaguely Christian spirituality by John O’Donoghue and so on ad infinitum. They represent not so much a decline of religious belief, but a free-market deregulation of traditional Catholic faith and practice. Each religious consumer weaving together a sort of religious patchwork-quilt made up of fragmented pieces of traditional Catholicism and various other belief systems; each quilt forming a unique pattern of individually chosen beliefs and attitudes. 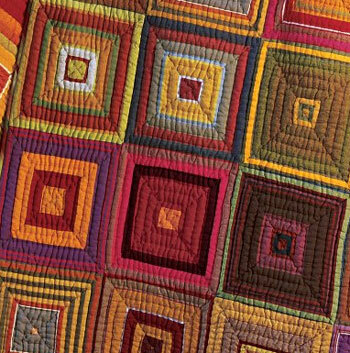 And it ain’t only the Catholics who are busy weaving multi-coloured quilts. All denominations face a crisis of authority and of fragmentation. It’s no surprise that membership is generally in freefall. Miller has things to say later in his book about ‘countering the commodification of religion’ which I’ll post on. – This is not all a ‘bad thing’. In Christendom Irish style, religious institutionalism was pretty stifling. Faith was frequently a dead thing. ‘Deregulation’ opens up stories of personal faith and discussion and debate over beliefs. Like Paul in Athens, this gives space to connect with the religious supermarket and go to the story of Jesus. – Nothing can be assumed anymore in terms of what people believe. And that includes evangelical ‘church going’ people. Each person’s story needs to be heard and listened to. – Linked to the above point, if nothing can be assumed, then there is a deep need for some form of catechesis, for learning and teaching the story of the gospel and how it calls each Christian radically to reshape their lives around that story. – Denominations face particularly profound challenges in being out-of-step culturally with their bureaucracy, hierarchicalism, slow-footedness, and emphasis on institutional authority structures. How able will they be in adapting to more flexible structures and becoming more fleet-footed? – Christians have always faced the challenge to negotiate their culture without succumbing to syncretism; to be in the world but not of it. Today perhaps the biggest challenge of all is how to ‘tell the gospel’ as good news without turning it into one more lifestyle choice that will meet the individual need of the consumer (to be happy or whatever). Such ‘consumerist faith’ does not quite fit with the call of Jesus to take up the cross and die to the self! Some recent research on Irish Catholicism carried out for the Association of Catholic Priests (thks Dermot). Welcome to post-Catholic / post-Christendom Ireland. What do such findings mean for the Catholic Church in Ireland? What do such findings mean for other churches in Ireland?